Oxford isn’t necessarily the place to be when it comes to gigs but last Saturday night it was a tough decision who to see. Blossoms were playing a sold out show at The Bullingdon and Little Comets played the first to last gig of a sold out UK tour at the o2 Academy. 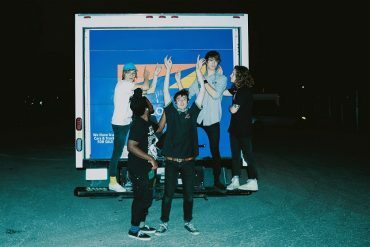 Support came from hotly tipped US rockers Hippo Campus. They were already into their last song by the time I got to the venue but the academy was already packed and Hippo Campus received thunderous applause. 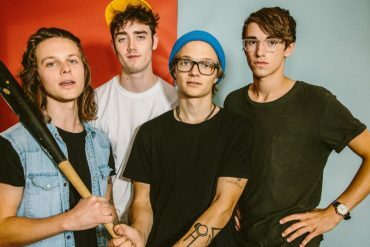 I had seen Little Comets in Berlin just a few months ago where they played to no more than unenthusiastic 50 people and I was curious just how they would play at home. The Oxford crowd was an entirely different affair and danced, sang and clapped their way through each and every song of the 60 minute set. 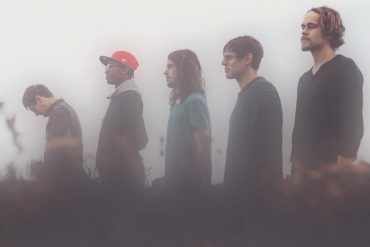 While much of the set was devoted to Little Comets’ third record Hope Is Just A State Of Mind which was released a year ago, their back catalogue, including fan-favourites such as Joanna, One Night In October, Worry and Jennifer among others, seemed to be received best and set in motion a real frenzy in the front rows. Set closer Dancing Song got everyone off their feet down to those hanging at the bar. This one was indeed for dancing. The Newcastle trio have come a long way since their 2011 debut In Search of Elusive Little Comets and Saturday’s show made it clear why their entire tour had sold out. An encore would have been the icing on the cake.